Cyber Monday came and went in a blur. Surrounded by the holidays and planning for Q1, it’s easy to lose focus and miss out on the opportunity it presents. this opportunity requires planning, you should have a well thought out holistic strategy to generate the highest sales volume you can. By the way, the early estimates for total sales and traffic in 2019 are off the charts, even compared to 2017. Knowing where you fit into the market, and being honest with yourself, will go along way whenever you’re marketing. On a day like Cyber Monday, it will really give you a leg up. Something as simple as a sales price drop below that of your competitors can make a drastic impact. Cyber Monday may be the day of the year when people are least likely to do in depth research about a product and act on price alone (There are certainly exceptions to this, more below). That’s obvious because the scarcity of both the product as well as the time frame that the sale is being offered, but also inherent in what these online sales days like Prime Day and even Black Friday have become. Shoppers have their credit card out and ready to go. And they mean business. Other factors to consider are things like add-ons, combo/subscription packs, or even teaming up with another brand to offer a more appealing package. You see this all of the time with tech products, like when Xbox adds in different games, controllers, or gift cards. Amazon did this over Black Friday by adding in their new echo dot with the purchase of an xbox one. These simple changes make the sale much more appealing. After all, why would you buy an PS4 when you can have an Xbox AND an echo dot? Another somewhat sneaky thing to consider is the duration of your Cyber Monday sale. No one says that it has to be on Monday only, or even just the weekend prior. Media and advertising directed towards these days is almost unprecedented and it creates an almost holiday like buzz. Use this to your advantage and open up your offer to the weekend or even week prior to capitalize on even more traffic. If you’ve been afraid to expand into other channels in the past, days like Cyber Monday offer a fantastic chance to test the waters. Marketing efforts should almost always run on a holistic omni-channel approach, but when there is immense traffic and sales over a short time, your brand needs to be positioned in the best ways possible — not just with a single-minded approach. Channels like SEM, Social, TV and Display all work off each other and are more than just another “touch point” on the users journey to converting. Using an omni-channel approach gives you access to a larger number of potential customers as well as a higher likelihood of conversion. It also gives you the chance to get the word out about that killer deal you are offering on Cyber Monday early through more than just text and image ads. Get creative with videos, carousel ads, likely-to-go-viral commercials, and original influencer content. More than anything, you can see marked metric improvements by running cross channel. Try monitoring traffic against brand terms while you are running Display or TV, you’ll love the results. Increased brand searches do more than just drive traffic, they typically help you capture it at a lower cost than if the user was searching for your product via more competitive nonbrand terms. The brand recognition won’t hurt either. Ultimately, you should be running an attribution model that values each channel appropriately and not simply giving full credit to the last click. Not doing this is a really easy way to undervalue channels like Display and Social and ultimately tank your overall campaign. Running an omni-channel campaign offers you flexibility in strategy but also timing. Starting your messaging early can prove hugely successful. This is also dependent on the product. If your product is something like an even ticket sale the user might need to organize friends/family or make other plans before they can commit to the purchase. Maybe the user doesn’t know if your product will fit in their home or want to check which version would work best with related products they already own. Giving the user a heads up that a great sale is coming helps them prepare, especially if it isn’t a small purchase. This goes back to knowing your product. This can’t be stated too loudly. A good Cyber Monday campaign should drive massive sales, not just 3-4x the average “good day”. Take paid search for example – if you have set an enticing sale respective to what your competitors are offering there is no reason you shouldn’t dominate both nonbrand and competitor campaigns. Bid up to the top position and at least give it a test. When it comes to any biddable media, especially Amazon, get those bids raised prior to the day of Cyber Monday. It’s not fully understood how quickly the Amazon platform, let alone Google and Bing, respond to significant bid adjustments so get ahead of the game. The increased competition on Cyber Monday doesn’t just clutter the auctions; it raises CPCs in a big way. You can’t sell products if they go out of stock. Back end logistics need to be ironed out months in advance of big sale days like Cyber Monday. Not even counting the mountain of terrible reviews that will pile up if 10,000 customers receive their orders a week late, but running out of stock is merely game over for your campaign. Another key factor, one that many marketers aren’t equipped to handle, is the Amazon “profitability threshold” — as we at Envisionit like to call it. This is basically Amazon drawing a line in the sand at the point where they no longer feel comfortable with their margin from selling a particular product. While they don’t pull your product down, they will pause any ads driving traffic to these campaigns (SEO implications are much more blurry). This happens most often when Amazon price matches other websites, something that is happening constantly on a day like Cyber Monday. Make sure that if you are offering a deep price cut that you are still above the threshold for driving ads. This is enormously influenced by your control of distribution. If you don’t already, get an agreement in the contract about these sellers posting products on Amazon ASAP. It’s not necessarily a bad thing to have 3P sellers with your products(this is a much larger discussion), but it can be detrimental to lose your control over pricing and ability to run ads. Many of these principles are relevant to any media campaign you are running but their importance only increases with opportunity, and Cyber Monday is a massive opportunity. 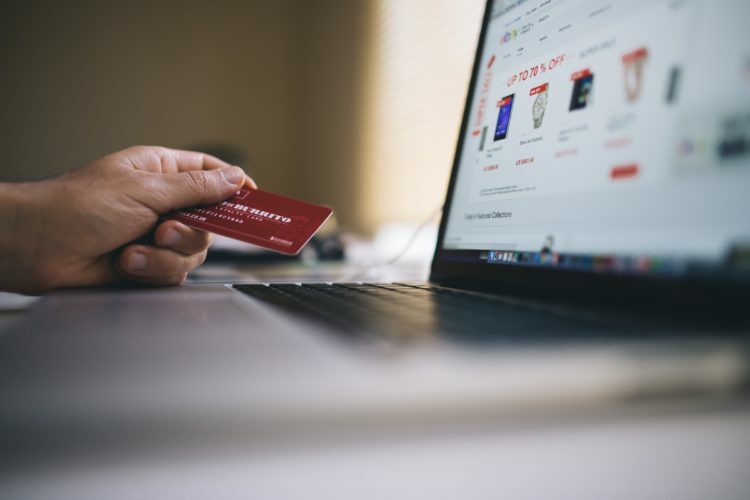 With traffic and sales numbers only continuing to rise, especially with the burgeoning ecommerce marketplace, these opportunities shouldn’t be missed. Every brand needs a strategy for Cyber Monday and plans should be made months in advance so that every detail is ironed out. Losing out on only a few hours of Cyber Monday can easily equate to a lost week of normal sales.